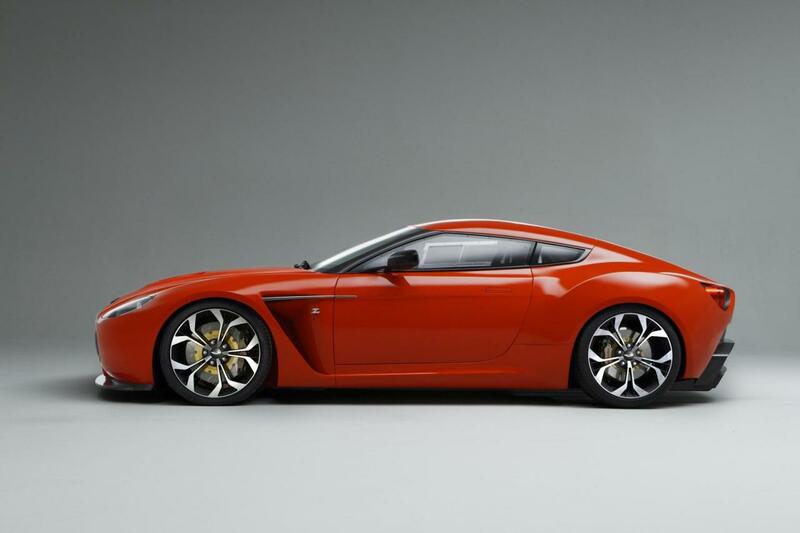 The Aston Martin V12 Zagato – Zooming by in 2012! 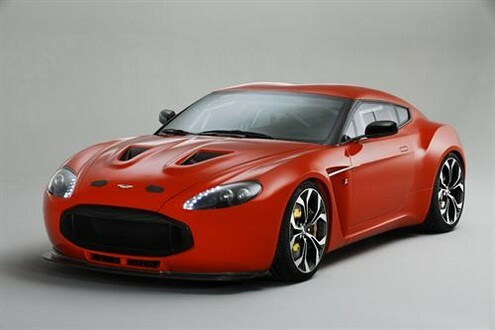 The Aston Martin V12 Zagato is coming to the road soon in 2012! Aston Martin have released full frontal photos of the V12 Zagato road car! Above is one of them! They are however going to be limited edition. 150 are to be handbuilt at the Aston Martin global headquarters here in the UK in Gaydon. The cost of these Astons’ will be £330,000 (excluding local taxes). The Zagoto in May, won the award for Design – in the Concepts and Prototypes class at the car show The Concorso d’Eleganza at Villa D’ Este in Italy. Aston Martin recently celebrated the 50th anniversary of the DB4GT Zagato also in May which was launched in 1960 at The London Motor Show. Zagato is a car factory in Italy who helped in making the very much British DB4 GT Zagato successful till date mainly as a racing car. The Zagato name has also been on other Aston Martin models such as the V8 Vantage Zagato and DB7 Zagato. The Zagato styling factory has been around since 1919. The V12 Zagato prior to any road version being made, has been on the race track like the original DB4GT Zagato; since the 28th of May initially racing at the the four hour VLN race at (German Race track) Nürburgring and again on the 25th and 26th of June where the two v12 Zagato racers competed in the Nürburgring 24 hour race and finished in 5th and 6th positions. These two race endurance cars were the first two V12 Zagato’s to be made and were nicknamed “Zig” and “Zag” – (“Zig” being the green V12 Racing Zagato and “Zag” being the red V12 Zagato)! The endurance racer cars were obviously a hit! Since the car show in Italy, Aston Martin were awaiting to see the audiences response to these cars (the customer and audience reaction was said to be encouraging) and then a decision was to be made about whether the V12 Zagato road car would be made; fortunately for Aston Martin fans the V12 Zagato road car project was given the go ahead and the 150 models available are on a first come, first serve basis – after being built in 2012. The V12 Zagato will be an attention grabbing car on the road and they will be available in four different colours including the bright red that will give Ferrari’s a run for their money! The Zagato road car still incorporates all the looks of a racing car, it has air vent scoops on the bonnet along with a whale shark gaping front as a grill – the car thus allows the air to flow straight through to cool the engine and provide aerodynamicity. The front of the car also has two other airvents below the whale shark front and there is also a small lip on the car in black, giving this car real points in style and creativity! The roof is special in make and is a double bubble roof which gives the car a racing look and extra edge on the road! There is a double wishbone suspension making the V12 Zagato an all rounded piece of workmanship! The V12 Vantage also uses the same suspension – giving the Aston’s a common ground although they are far from the same. The Zagato uses more contours and is far more striking to look at! The competition that the V12 Zagato has is the Ferrari FF and 458 Italia and Porsche’s 911 Turbo S.
The V12 engine which has 48valves will always make the Zagato a fast and powerful competitor amongst the other coupe` sports cars. The V12 may sound familiar? That’s because Aston Martins Vantage uses the same engine as does the Vanquish and the DBS V12. The V12 Zagato has a capacity of 6.0L and produces 570NM of torque. The Horsepower produced by the V12 Zagato is 517hp! 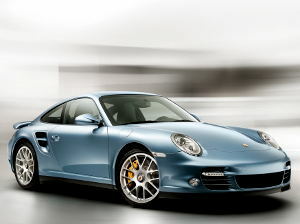 A top speed of 190mph and 0-60 in four seconds. The V12 Zagato road car has been (and is being) designed with aspects of the Vantage – the interior is said to be a Vantage cockpit; the outside of the car is a different story all together, the Zagato looks monstrous at times! The V12 Zagato has two doors and a two seat coupe` body – perfect for those who love the sports car look! It also has plenty of air filters one of each which are placed directly behind the front wheels! There is a double exhaust on this car, one on each side and although you would expect them to be like the original batmobile’s twin exhaust – from the looks on this car – they are not; as you can tell the V12 Zagato is not a subtle car, although compared to the racing version it could be seen as being far more subtle! However, nothing is subtle about these V12 Zagato’s – they scream style! The road car from the race car will be (and is) different because it will not contain the huge rear wing and the roll cage although the rear of the road car is still exotic in its looks! It has two huge round lights on either side which incorporate the reverse lights and indicators – these lights are built into the rear body which caves in on either side of the lights. The rear also stands out due to the diffuser which hangs low near to ground level. The rear of the car also slopes down at an angle from the boot where you can see the emblazoned Aston Martin badge – the badge also appears on the front in typical Aston Martin tradition. The Z for Zagato appears on the side of the car behind the front wheels in chrome and a dashing chrome line to enhance the cars already stylish features. The brakes look special on this car, they are ventilated floating grooved discs (the front has 6 piston calipers) whereas the rear brakes are the same with 4 piston calipers and are yellow and red in colour. The light aluminium forged alloy wheels are similar to that of the Audi R8, although fit in with the car’s individual presence, they are 19″inches in size and the tyre sizes are as follows: Front – Rear: 225/45 R18 – 225/40 R18. The handcrafted body is to be made from aluminium in addition to carbon fibre and the car is a rear wheel drive which will give the driver a stronger feeling of the pick up and in the V12 Zagato’s case take off! One of the special features of this car is the car fuel tank which is a 120 litre Endurance racing fuel tank! Perfect for those long haul journeys! So what gives this car its beauty? Well… it is worth mentioning the amount of different body pieces used to put this speed machine together – each front wing alone comprises seven separate pieces of aluminium and these wings have been put together through the use of an English wheel and traditionally crafted body bucks – the double bubble roof is created from five separate pieces – this goes to show the amount of traditional craftsmanship involved and thus the beauty created by the Aston Martin – Zagato collaboration! The V12 Zagato has a six speed automated manual gearbox – which is more than enough gears to see you fly by in this hot red supercar from Aston Martin! The V12 Zagato will have a sport mode which will be selectable for those racing moments that this car will easily live up to! This car is unique and stylish in its own British/Italian way and sure to be an icon for Aston Martin fans!